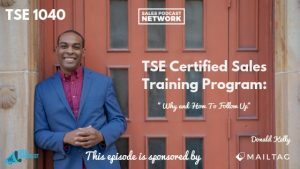 TSE 1040: TSE Certified Sales Training Program - "Why and How to Follow Up"
Following up means reconnecting with the prospect, and it’s crucial that you understand why and how to follow up. Many of us dread the follow-up portion of our job because we fear being a nuisance. When we do it effectively, though, it can be the key to more deals and more success. Follow up builds trust with your prospects. When you tell them that you’re going to follow up with them, they expect to hear from you. Failure to follow up suggests that you’re not dependable or perhaps you found another prospect that is more valuable. You must keep your promises, because trust leads to success. People do business with people they know, like, and trust. 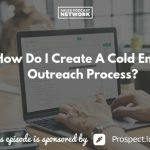 Create a meaningful process that will help move your prospects forward. Decide what you need to do next and establish a clear next step for every single appointment. When you meet for the first time, schedule a next step that will allow a deeper dive with that prospect. Let your prospects know that there will always be a clear next step as long as you two are a good fit for one another. Ask your prospects what they would like to do next. Based upon their answer, you can schedule your next step. Be prepared to offer some options for meeting days and times. Do NOT leave the meeting with a general statement that the prospect will follow up with you. Better to have a specific sense of whether the relationship is moving forward than to be left wondering. For most sellers, none of this is new material. We KNOW that we need to follow up. Once you’ve created the next step, use Google Calendar to create a notifications that will remind each of you about the meeting. 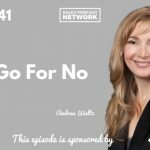 Even if your prospect indicates that the time isn’t right for your product or service, have a follow-up in mind that will allow you to reconnect with him after the fact. Stay in touch. Keep your prospect moving in the right direction. Check out the book 15 Secrets Successful People Know About Time Management by Kevin Kruse.